‘Butterfly Effect’ means that small things can bring large effects. Likewise, when small groups actually “move”, they may have a huge influence on the whole world. 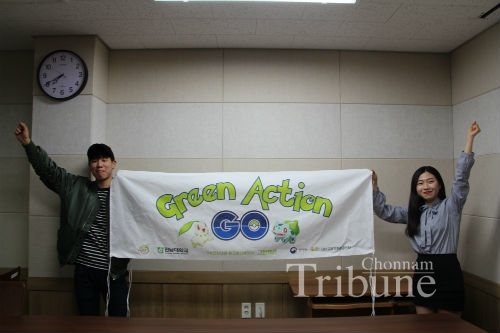 The Chonnam Tribune also gives suggestions that will help you perform more eco-friendly small actions in your daily lives. Below are some cases of eco-friendly actions at overseas universities. 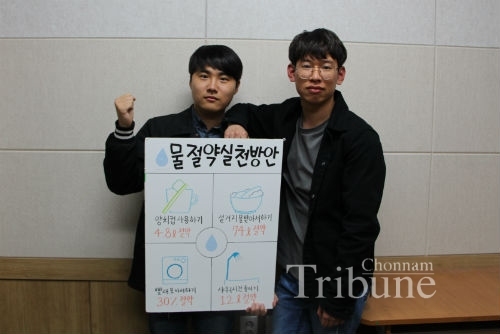 Whether the environmental-friendly campaign is kept going in a campus club or over the entire school, it is remarkable that there are people who constantly participate in the green movement. You can also be one of them. Here are some useful tips to color your life with green. 1. Bring your own tumbler or mug to cafés. Many cafés provide coffee with disposable plastic cups regardless of whether or not customers take their coffee out. This is a serious hazard to nature and a huge waste of resources. 2. Reduce your waste. Be conscious of your trash, and print only when necessary and reuse single-sided pages. 3. Do not overuse electricity. Wear shorts and turn on electric fans when hot. Do not just easily turn on air conditioners. 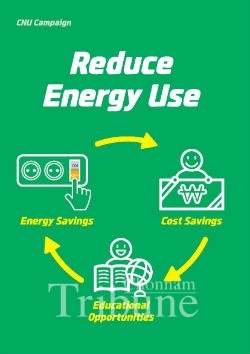 Both save a lot of energy, resulting in energy efficiency. 4. Ride bicycles and take buses or just walk to move from places to places. It will reduce gas discharge from using automobiles. 5. Use eco-friendly products such as recycled products and paper bags. The University of Pennsylvania (UPenn) is one of the universities which actively “move” to make its campus eco-friendly. UPenn constantly comes up with university-wide eco-projects and events that any member on campus can easily join. The most recent campaign they conducted, ‘30x30 Challenge’, was a month-long project held in April. It aimed to inform and encourage UPenn students, faculty and staff members to appreciate nature by spending at least 30 minutes outside each day for a whole month. It suggested activities such as walking a dog outside and taking photos of a tree’s parts or other natural objects. All of these activities would actually be enjoyable for all participants. The project would indirectly help people discover that they are intimately related to the environment around them. FECAM, an environmental protection club at Kathmandu University in Nepal, not only aims to make themselves and the surrounding environment go green, but also helps people perceive the importance of environmental preservation. The club members have conducted several special activities. One of those involved holding a cycle race and hiking event to show people that bicycles are a viable alternative to automobiles. Another activity alerting people directly of climate change was to teach children how humans should cope with serious climate change such as global warming and its subsequent impacts on Earth. Students will now be well aware of the risks of radical changes, and they will be thinking of ways that they can keep the environment safe. As a result of these efforts, FECAM was awarded the Best Club Award at Environmental Forum for International University Students held in Seoul, November 2016.